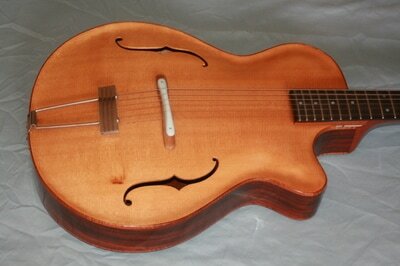 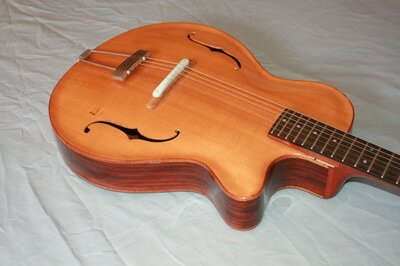 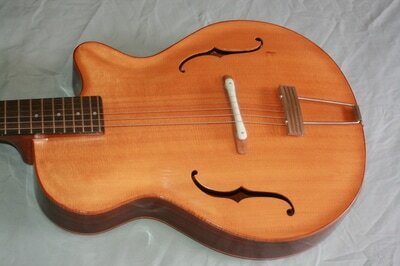 This lovely Archtop guitar sounds great! 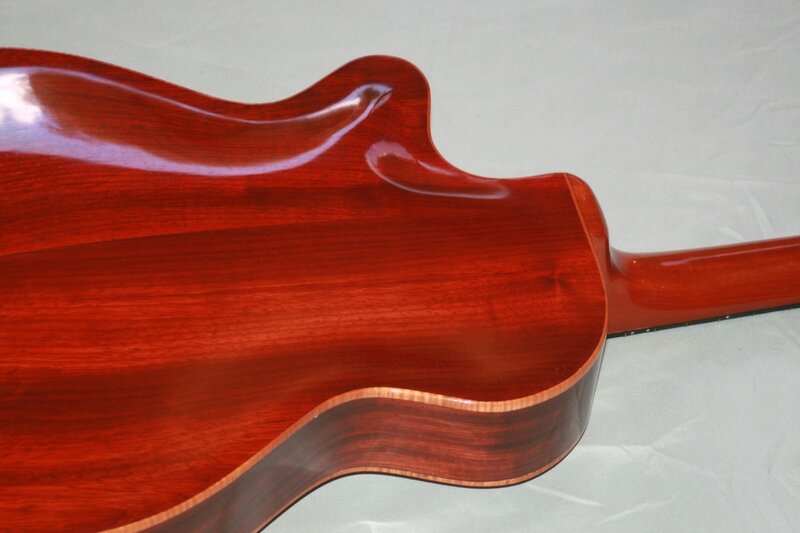 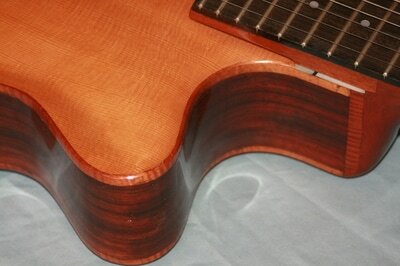 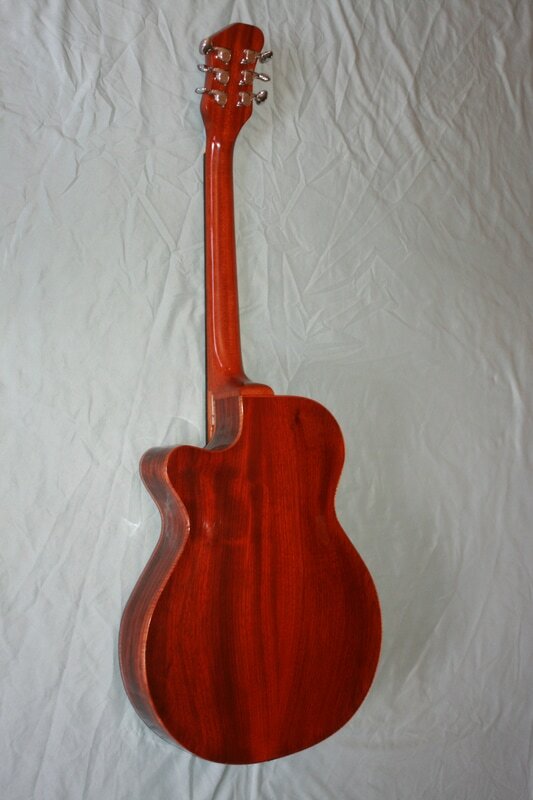 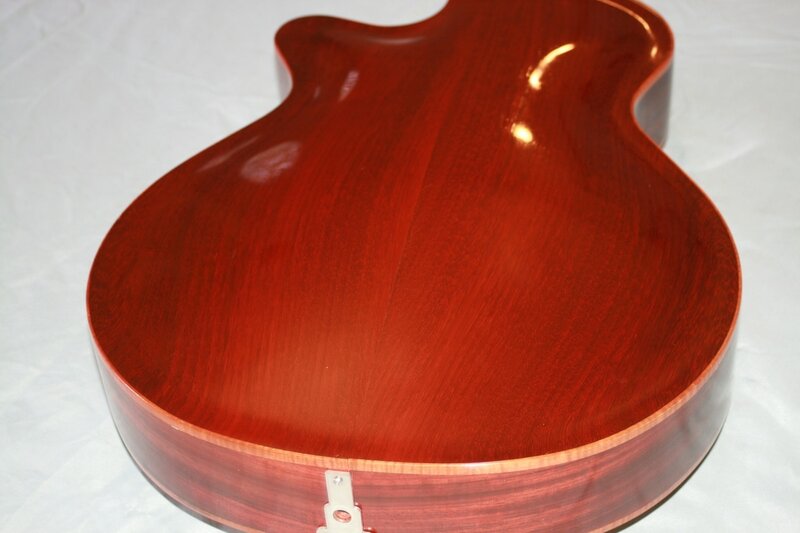 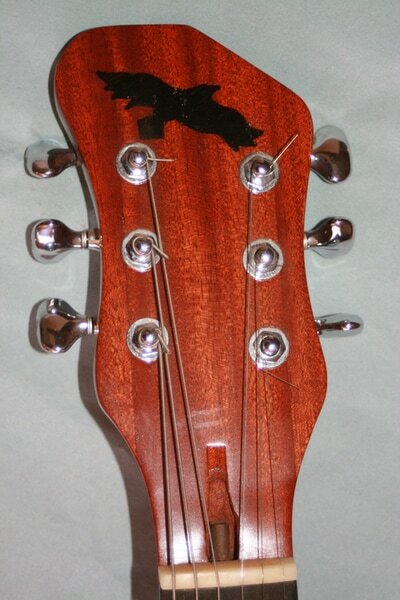 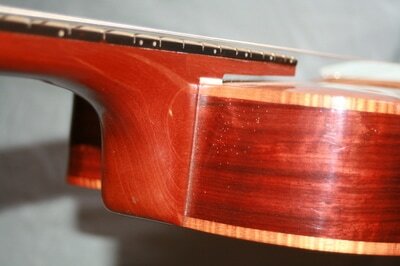 Looks good too, with Padauk ( Pa-da- ook) back and sides, Sitka Spruce soundboard, and Curly Koa binding. 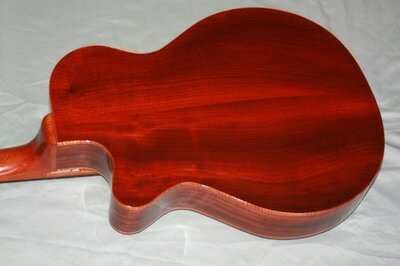 With a 15" lower bout and 2 7/8 inch sides, it's a medium sized guitar with plenty of everything. Colorful descriptions of tonal balance, projection and sustain aside, this one got very high marks from a local jazz legend who owns and enjoys playing the best. 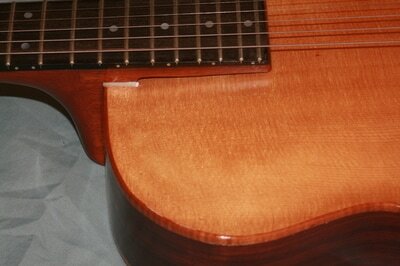 After about an hour of demo time, he simply said "Wow, this one is Right On!" 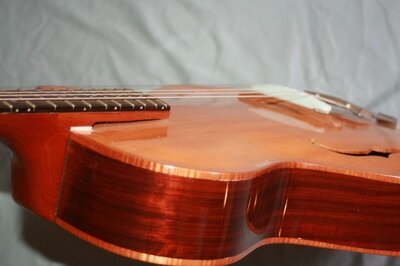 Setup and playability enhance the beauty, but sound is what we're looking for, and this one has it. 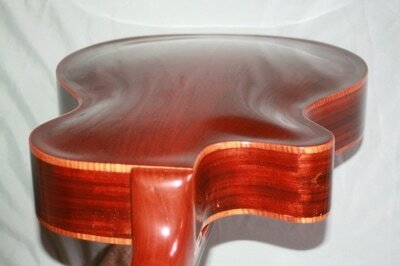 Padauk wood starts off almost an orange color when freshly sanded, then ages to purples and browns over time. It is a very hard and dense wood, comparing favorably with the better known varieties you'd see on the best instruments. 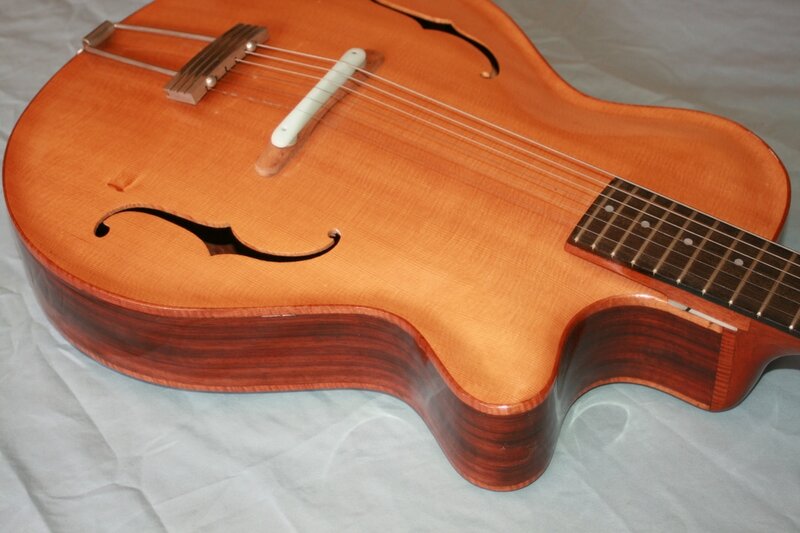 This one has yet to receive an electronics package, but I have set aside a custom pickup by Pete Biltoff (included in price) in Silver that would fit the bill nicely. 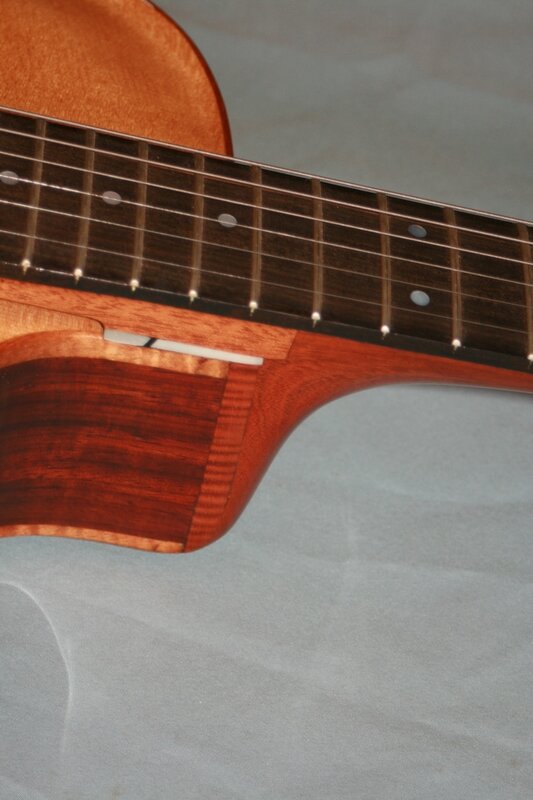 Truss rod included. 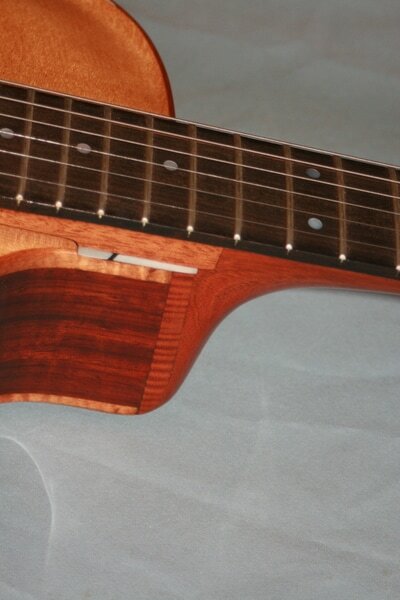 Curly Koa binding, Koa adjustable Bridge, Ice Blue Corian Saddle, Gotoh Tuners in Silver, Ebony fretboard, Honduran Mahogany Neck and Silver color Metal tailpiece. Again, 15" wide Lower Bout, 19 1/2" Body Height, 40 1/4" Total Length, 1 3/4" Nut, and weighs 4 lbs., 13 oz., or 2,200 grams.